“I have been tagged dancing Senator, but this shouldn’t be used against me because everybody dances. Have you seen someone who doesn’t dance?" He is called the 'Dancing Senator' because of his love for dancing. 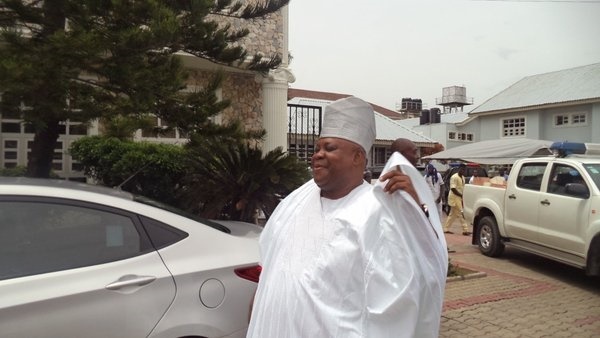 The governorship candidate of Peoples Democratic Party, Senator Ademola Adeleke, has said he would win the Saturday election and dance to the Government House as governor-elect. He said this in Osogbo on Wednesday at an interactive session organised by the Oduduwa Youth Development Initiative. Adeleke said the APC-led government had inflicted hardship on the people, saying he was confident of winning because of the support he enjoyed from the people throughout the state. Asked why he was being referred to as dancing Senator, Adeleke said, “I will dance to the Government House after winning Osun governorship election on Saturday. “I have been tagged dancing Senator, but this shouldn’t be used against me because everybody dances. Have you seen someone who doesn’t dance? I am winning this election and I will dance to the Government House after that. Adeleke, who criticised the educational policy of Governor Rauf Aregbesola’s administration, said the unpaid salaries and school merger were some of the reasons for the poor performance of pupils of the state in public examinations.